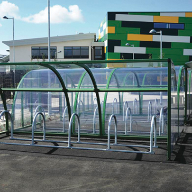 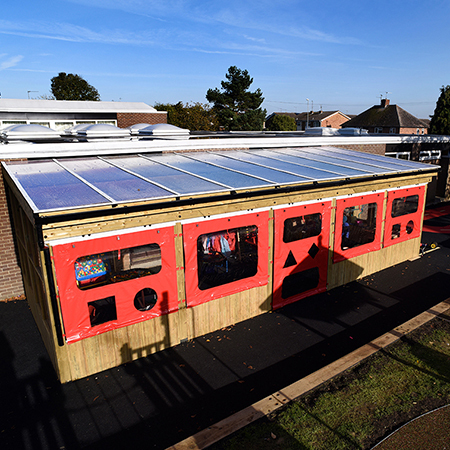 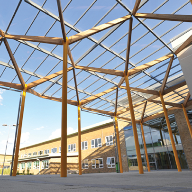 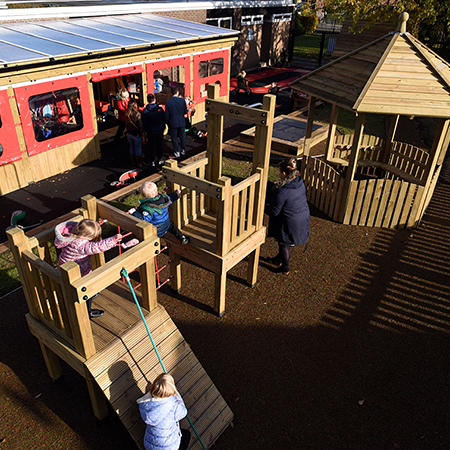 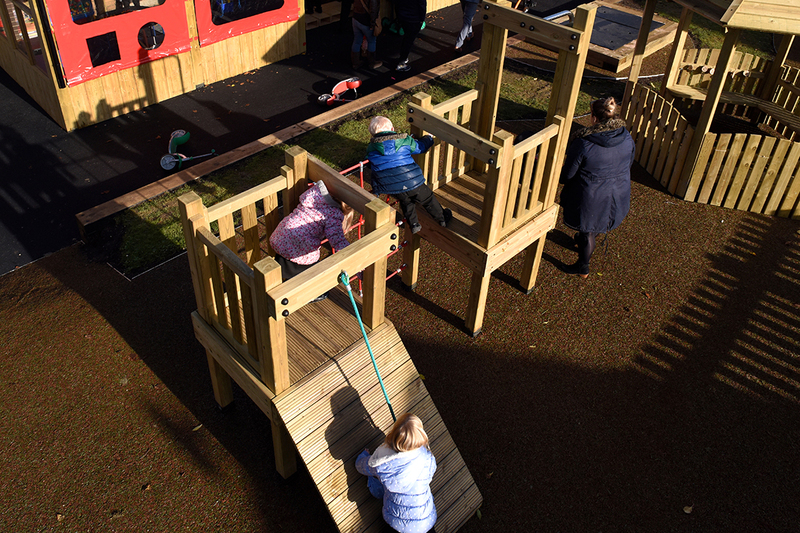 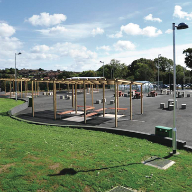 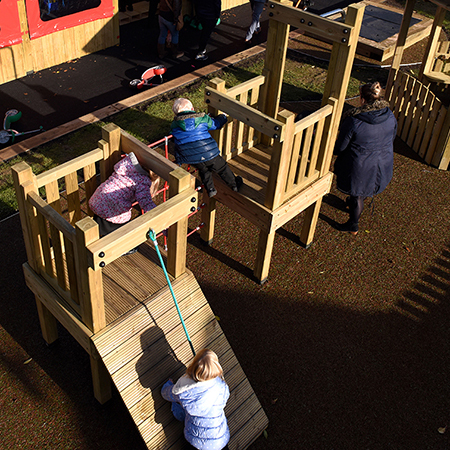 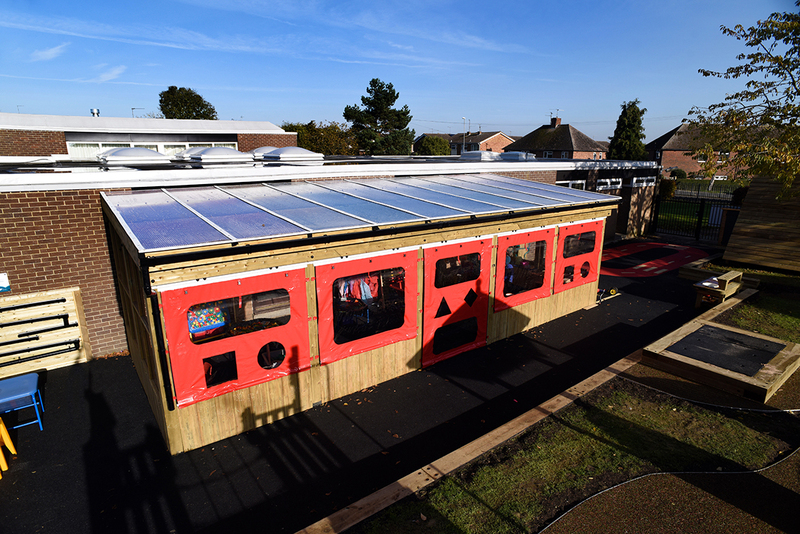 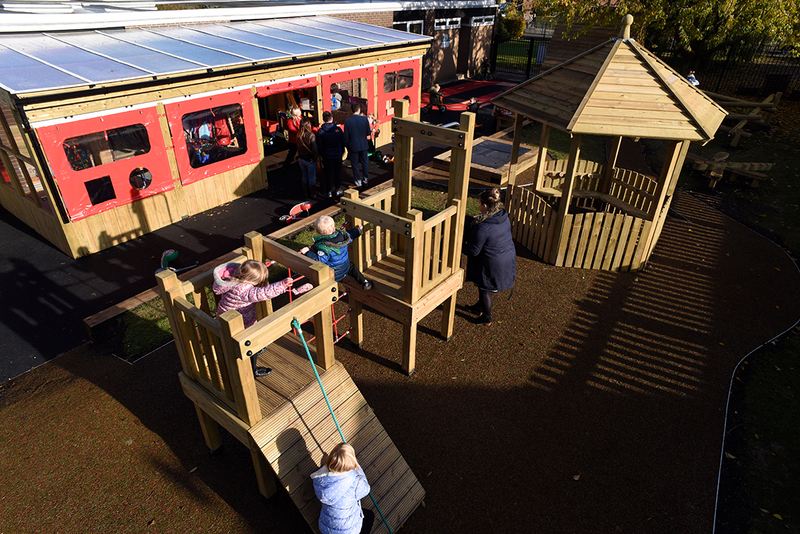 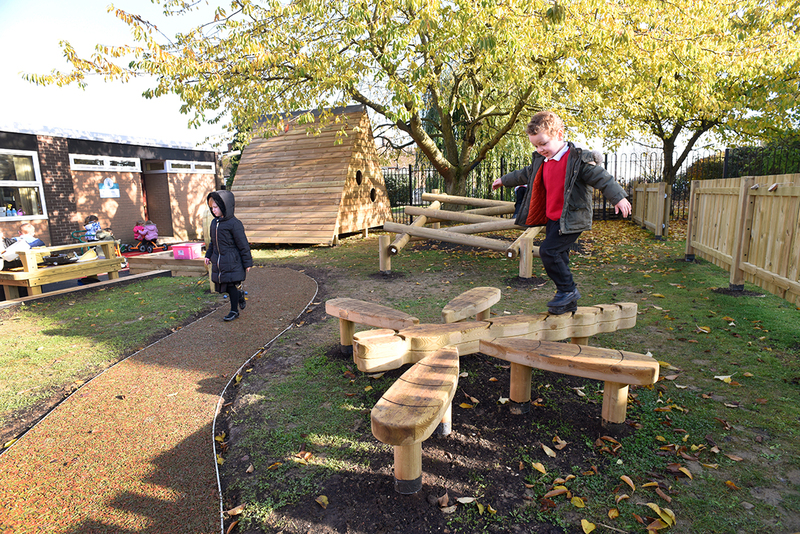 Broxap deployed its Hand Made Places division to create a series of timber shelters and playground equipment for Windmill Primary School in Wellingborough, Northampton. 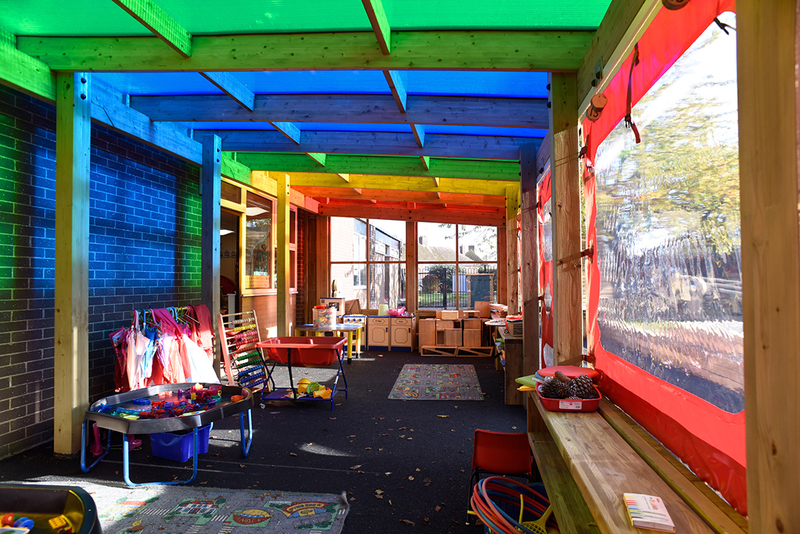 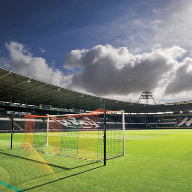 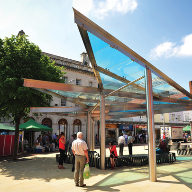 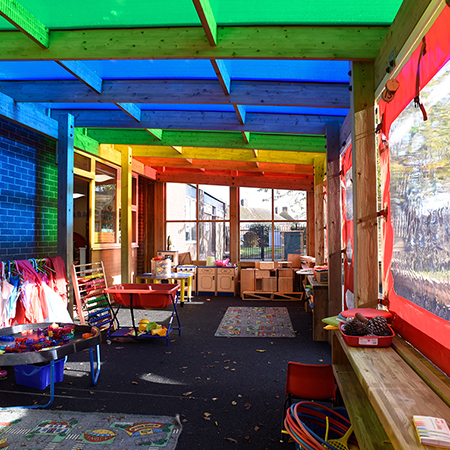 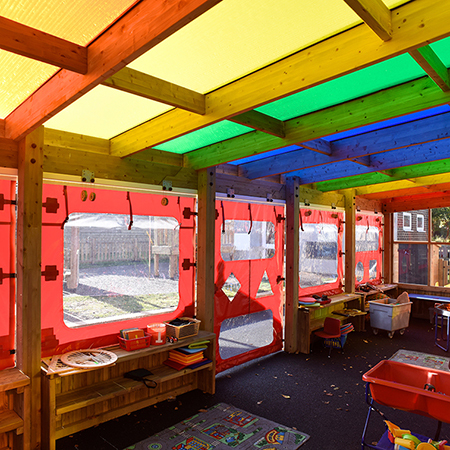 Hand Made Places created a bespoke timber monopitch shelter which was clad with Multiwall Polycarbonate that had translucent vinyl applied to it to create a wonderfully kaleidoscope coloured ‘hue’ beneath the shelter on sunny days. 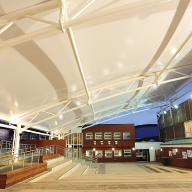 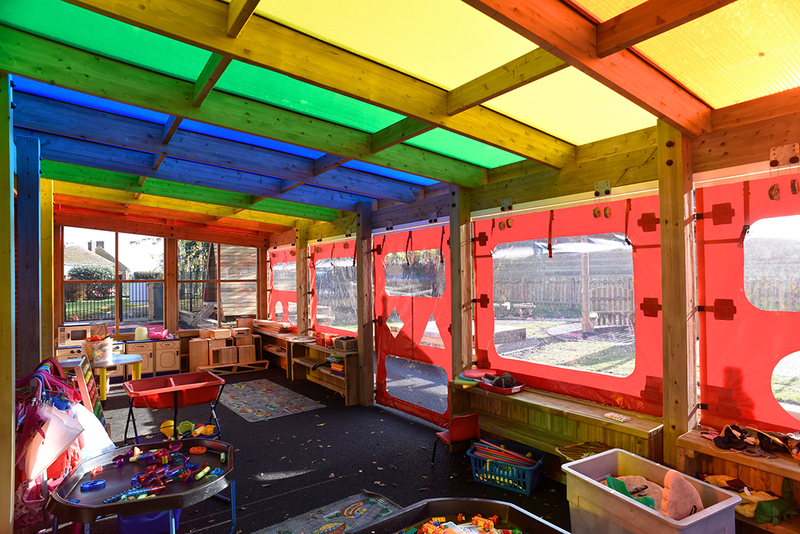 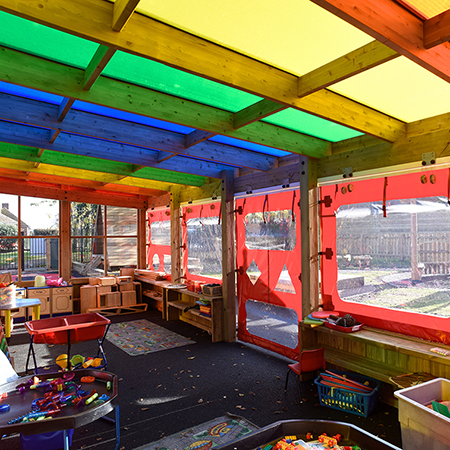 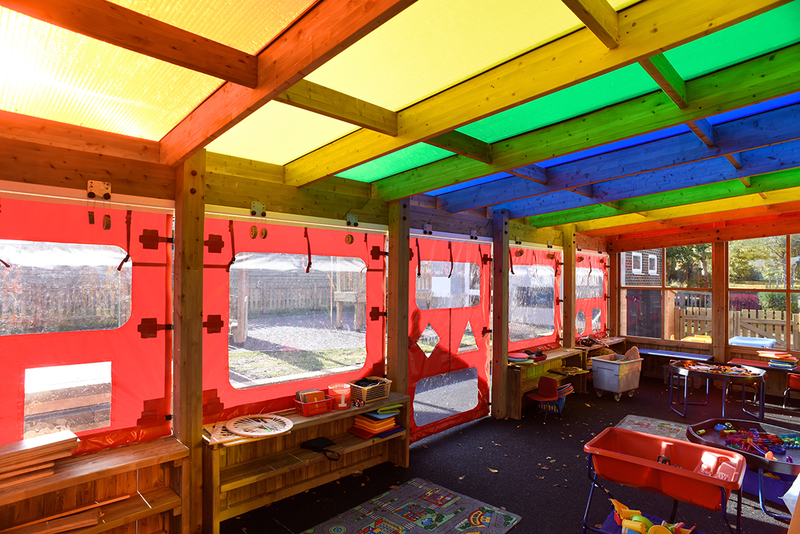 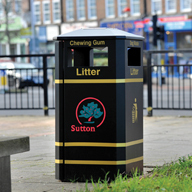 Wind and rain are kept at bay by vinyl roller blinds to the front of the shelter complete with clear panels so the children can see outside and light is allowed through. 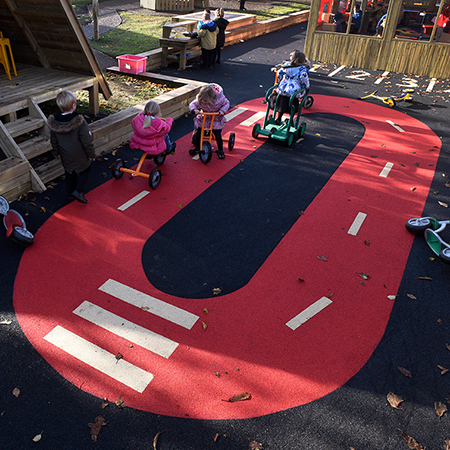 To create an outdoor reading and quiet area a Forest Story house was used and combined with items of playground equipment including a Tufnell Activity Centre, Dragonfly Sculpture, Petal Drum, Lumberjack ladder, Chalk and Dry Wipe Board, Extra Large Sandpit and a Petrol Pump with a SafetySurface road marking for trikes and mini cars. 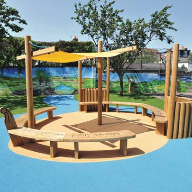 A Willingdon Gazebo was also added as an outdoor area along with a bespoke Water Wall play unit and Saver Grass Matting. 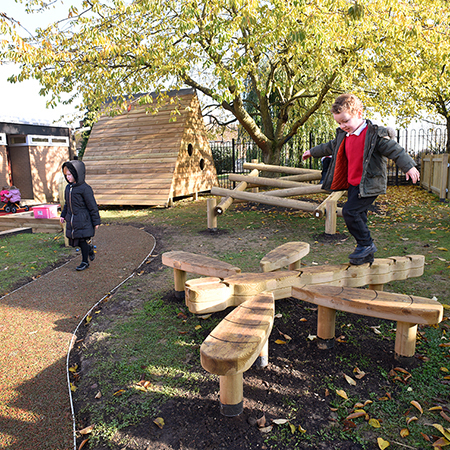 The whole project created a vibrant playground for the children to play and learn.